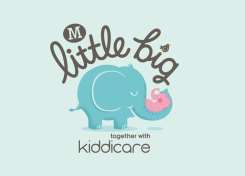 Elmwood in Leeds has designed the new Little Big baby brand for Morrisons, which launches later this month. “We are delighted to be rolling out Little Big across our stores to help firm our position as a leading and trusted brand for mothers and babies. Elmwood has helped us create a highly credible and easily recognisable own-brand across the baby category,” said Jodene Rogers, Morrisons’ senior brand manager. The design by Elmwood features both photography and an illustration of a soft elephant. This, the agency explained, was to convey the “humour and frustrations” that parenting can bring as well as aiding product navigation. “This has been a fantastic project and is part of our growing relationship with Morrisons. People have a very trusting relationship with the supermarket and it is the perfect place to supply them with all their baby needs from new-born onwards,” added Elmwood account manager Kelly Broomhead.